1MORE has announced an all-new Penta Driver In-ear headphones, which will be showcased at CES 2019. The Penta Driver In-Ear headphones, in case you are wondering, will be available by early Q1 2019, and it has been priced at $299. According to 1MORE, the Penta Driver design is for both audiophiles and everyday consumers, as it meets the high-standards set by avid music lovers, and it offers a comfortable user experience. To appeal to everyone, 1MORE’s Penta Drivers have a universal earpiece with a triple-flange design, so they are easy to use right out of the box. The Penta Driver In-Ear headphones feature an ergonomic design with oblique angles to have a natural fit in your ear. It also features a rubber ear hook that bends to your ear for a secure fit, and a balanced weight to keep headphones stable from moving while on your head. The best part of the Penta Driver In-Ear headphones is the fact that it also feature a Type-C port, giving users the choice of wired or Bluetooth listening. The headphones are also compatible with all the major Bluetooth codecs including AAC (iOS), AptX, and LDAC (Android), so you get a high-quality wireless listening experience regardless of the device you are using. 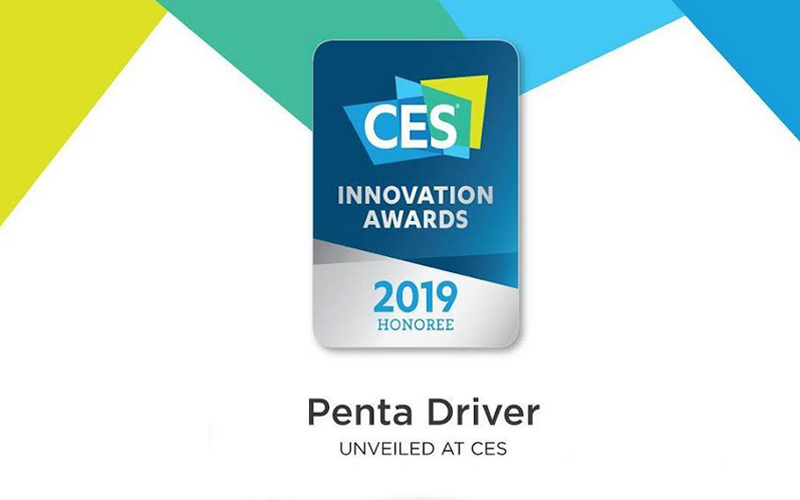 In addition to the Penta Driver In-Ear headphones 1MORE has also announced the launch of Triple Driver BT In-Ear Headphones and Spearhead VR BT In-Ear Gaming Headphones, and all three models have CES 2019 Innovation Awards, which is pretty impressive. In fact, 1MORE has become the only headphone brand to win this prize two years in a row. We’ll bring more updates from CES 2019 as and when we find something interesting, so be sure to stay tuned.